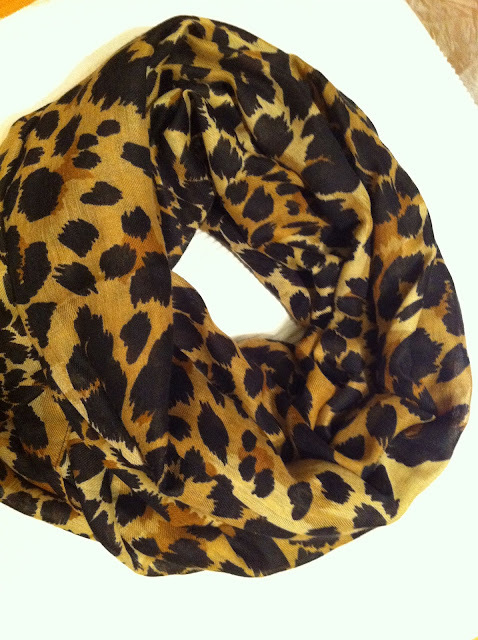 Deal of the Day - Leopard Scarfs!!!! Today's blog post was intended for my first fashion show experience with Carlos Miele. It was an amazing experience gifted by my BFF Floria through our friend Diana! But, I can't find my camera at the moment "as per my usual clumpsy self." So, instead, I am sharing with you this awesome deal of the day!! In love with Leopard scarfs, belts and shoes at the moment and these are such great deals and oh looking so good! This scarf was also featured in my favorite blogger's post last week @ Wendy's Lookbook!!! Next time you are in H&M, look for their Leopard Scarf, there are few versions. I purchased the version as pictured above, thanks to my cousin Christina in finding this piece and actually picking it up for me. It's a loop scarf that can actually be worn few different ways, which I will create a "how-to: in a future post. this is a awesome deal for this time of year! and it goes with so many outfits!